Václav Havel claimed to want a quiet life dedicated to writing, but he lived exactly the opposite: as the most famous dissident in Czechoslovakia under Communist rule, he spent many years in jail as a political prisoner and, after leading a revolutionary movement in 1989, thirteen years as president and twenty as one of the most respected intellectuals on the world stage. Throughout this eventful story ran themes that Havel himself established as a young man composing poetry in the 1950s. This biography is the first to pay close attention to Havel’s poetry and to place his later work as a writer of plays, essays, prison letters and presidential speeches in the context of his poetic beginnings, his formative stylistic and philosophical influences, and his lifelong rivalry with slightly older poets who turned, as he did, to other genres. 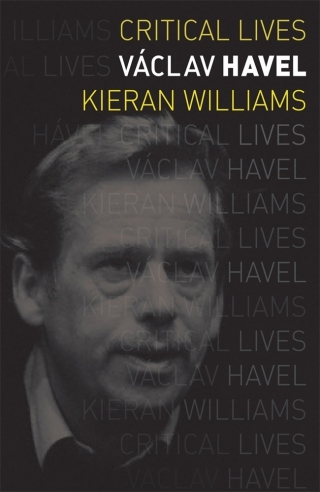 Kieran Williams connects the plays for which Havel is best known to his contemporaneous development as a writer of profound essays on the arts, on his country’s social and political predicament and on the modern condition. The plays are also viewed in the context of Havel’s sometimes dramatic private life and his ambivalence about being the scion of a Prague family that valued public service, patriotism and cosmopolitan tastes. 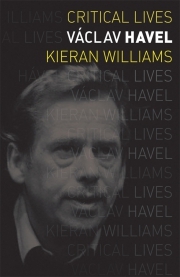 Through a reading of Havel’s complete works in Czech, including first drafts of his plays and his voluminous correspondence, Williams produces a rounded picture of a man of courage and paradoxes. Kieran Williams is Adjunct Professor of Political Science at Drake University, Iowa, and previously was a Senior Lecturer in Politics at University College London’s School of Slavonic and East European Studies. His books include The Prague Spring and its aftermath: Czechoslovak politics, 1968-1970.